​ I KEEP THINKING ABOUT FREEDOM, CHRISTMAS, and THE COLLEGE HOOP SCANDAL OF 1962. LEAVE PHILADELPHIA NEVER, his newest play, is the second play of a tetralogy of four plays about his home town of Philadelphia. He is working on musical, BREATH TO BREATH, that tells the story of a 14-year-old girl mourning for her mother who died on 9/11, Subway Girl, and every person now living in New York City. His plays have been produced at The Luna Stage (NJ), The Puzzle Theater, Cubiculo Theater, The Triangle (SC), Harold Clurman Theater, Bernie Wohl Theater, White Fire Theater (CA), Barrow Street Theater, The Ko Festival(MA), Manhattan Class Company, and as part of the 29th Street Playwrights New Work Series. In 1986, he and his wife, Jennifer Wells founded and ran the NYC Drama Workshop, a theater program for teenagers sponsored by Greenwich Village Youth Council. 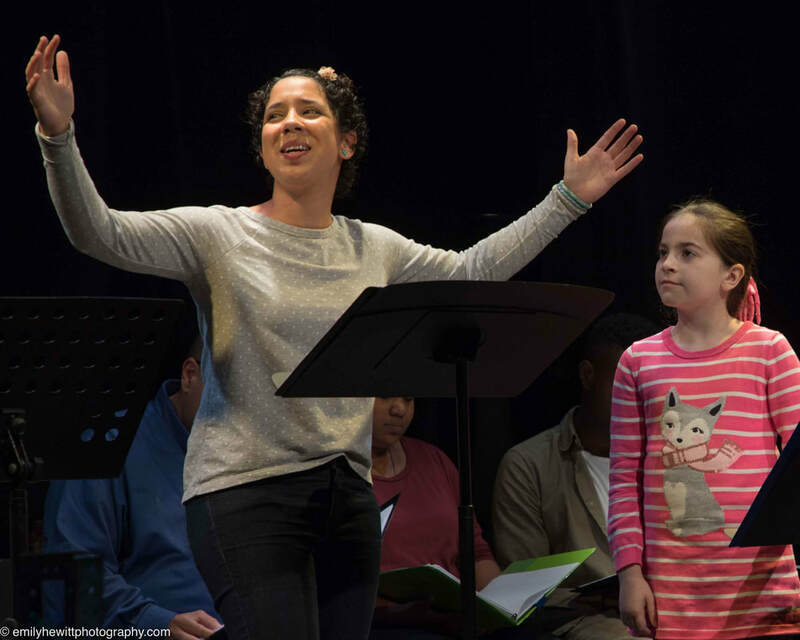 They wrote and produced 14 plays for teens to perform. Two Drama Workshop plays, REMEMBER ME ALWAYS and GREENFIELD BLOOMS, are published by Samuel French. 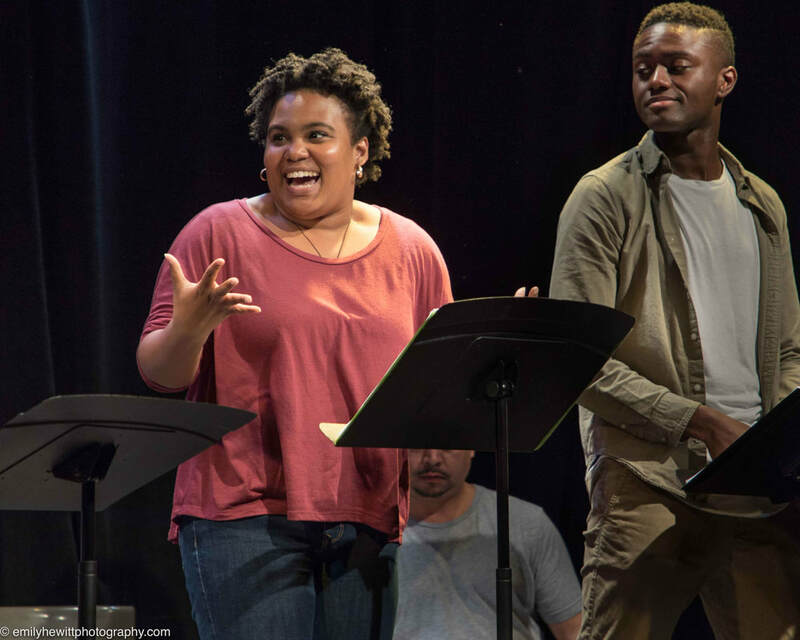 ​Michael is a National Playwrights Conference Finalist, has received a New York Foundation for the Arts grant for screenwriting, and a DeWitt Wallace Writer of Distinction Grant. He is a MacDowell Colony Fellow and a member of the Dramatist Guild. Zahaira Curiel and Lorelei Rey in Breath to Breath by Michael Wells-Oakes, New Works Series 2017. Photo by Emily Hewitt. Jazmin Williams and Arian Badoo in Breath to Breath by Michael Wells-Oakes, New Works Series 2017. Photo by Emily Hewitt. Vanessa Pereda-Felix, Jon Esquivel and Zahaira Curiel in Breath to Breath by Micael Wells-Oakes, New Works Series 2017. Photo by Emily Hewitt.